Haircuts make you a better person. Added by Honi Soit on October 8, 2013. 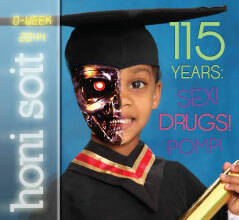 Honi Soit is the largest and oldest weekly student newspaper in Australia. Our articles, like this one, are made possible by our dedicated student reporters and contributors.